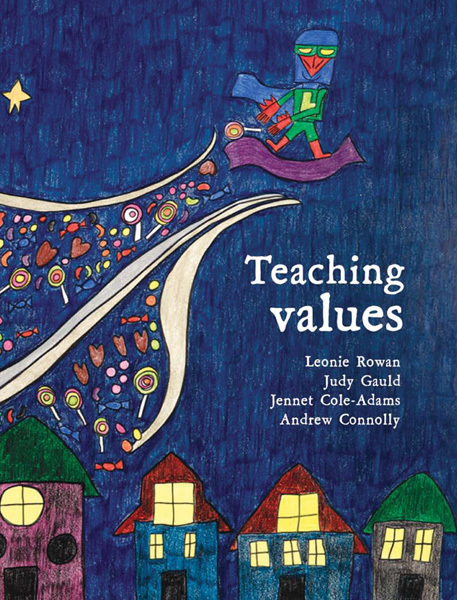 Tim Sharp’s vivid, joyous artwork was the obvious choice to go on the cover for this book for upper primary teachers on the topic of ethics and values. An artist with Autism, Tim has developed a character called Laser Beak Man, depicted here, who has a cult following. Here he empties his cloak of sweets and love over the sleeping town.